1. I was vegetarian for 2 years, from 2004-2006, so this is not my first experience not eating meat. It's been really long though since I gave up meat and dairy so I consider this my first time again. 2. I cheated on weekends. I could not help it- my job requires me to do food and restaurant reviews so I had no choice. Being someone who is constantly hungry, AND a foodie who cooks, it's difficult for me not to eat meat. I usually have no biases when it comes to food, with the exception of exotic animals and farm animals that we don't normally eat (like horses- Hello France and Japan!) I will try anything once. 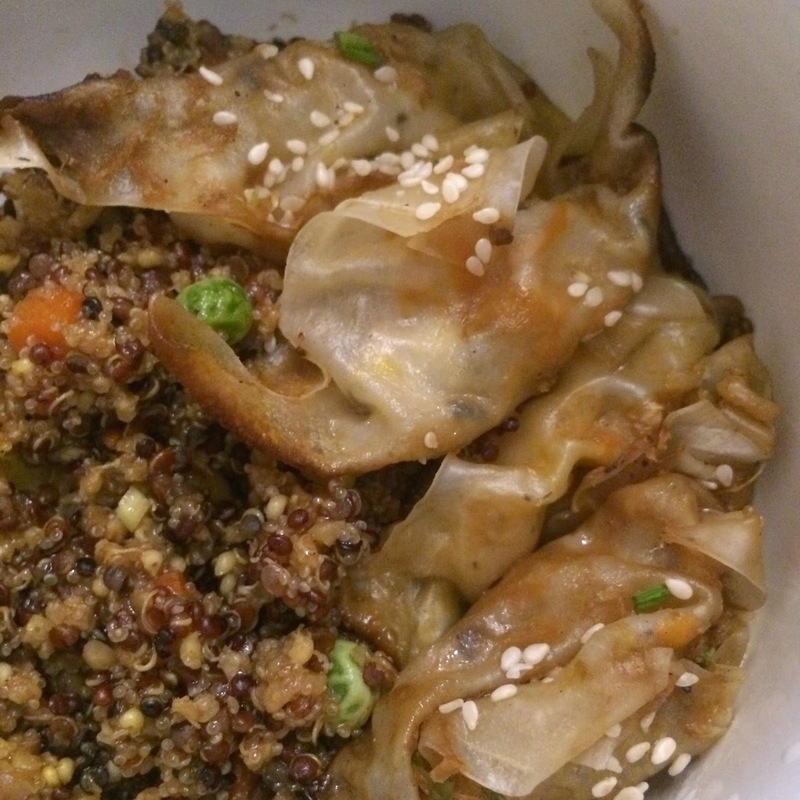 Vegan Gyoza and Cha han Quinoa- so tasty and filling. I finished this and wanted more! Tofu Katsu Curry with Quinoa- Again, a super filling meal you won't miss the pork at all! 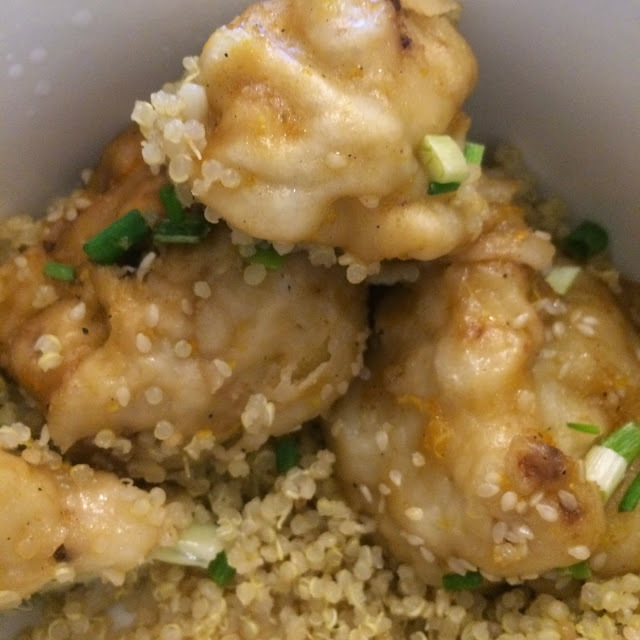 Cauliflower Tempura with Orange Sauce- Who says cauliflower is boring! Not when it's battered and smothered in citrus! Matcha and dark chocolate Muffin for breakfast- A sweet, dairy free way to start your day! I was generally happy with all my meals, save for some that, not that there was anything wrong with them, were just really not my general taste. During those times, I simply just made myself something at home with no meat. One suggestion I have for V Kitchen is that sandwiches should come disassembled, because sometimes the bread gets soggy, and cannot be reversed even when I toast it. I feel the taste and presentation is compromised when that happens. Other than that, no complaints at all. I felt full, satisfied and happy. For those who want to kickstart a healthier lifestyle OR try out vegetarianism to see if they can hack it, this is a good first step. I highly recommend trying it for a month to see if it's your thing.